Every roof shingle is clear in the drawing, the embellishments of the wooden windows have been illustrated meticulously, and the unevenness of the mud walls can be seen. The fastenings of the prayer flags on the roof and the workmanship of the beams are clearly recognizable. Nothing is abstract or idealized. It is a hand drawing of a stone house in the village of Thame in the Solu Khumbu district of Nepal. This farmhouse no longer exists, destroyed in the 2015 earthquake. That so many detailed, authentic, true to scale drawings and photos exist, providing a look at how people lived in the house, is all thanks to the research project “Tibetan Houses Vernacular Architecture in the Himalayas and Environs.” The project, headed by TU Professor Emeritus Peter Herrle and funded by the German Research Foundation (DFG) from 2012 to 2017, took inventory of cultural heritage that is in the process of vanishing. For the first time, 100 original drawings and photos of Tibetan farmhouses from the research project will be shown to the public. Tibetan monasteries, temples, and castles are well-researched, “but the vernacular farmhouses were hardly on academia’s radar until now,” says Peter Herrle. An injustice, as this exhibition demonstrates. 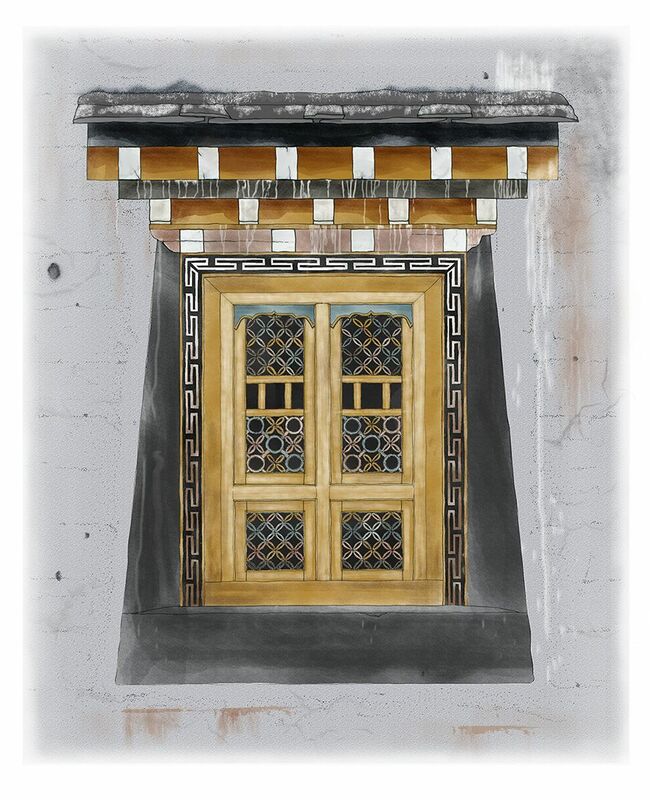 The drawings and photos document the diversity and beauty of the rural architecture on the Tibetan Plateau and neighboring mountain regions. A total of 33 farmhouses were surveyed, drawn, and photographed in the project. Their method of construction was analyzed, while the residents were interviewed on their way of life, their rituals and craftmanship. Over 2500 kilometers of the Tibetan Plateau were investigated in the project: from the provinces belonging to China in the east of the Plateau to Bhutan, Nepal, the Tibet Autonomous Region (TAR) in the People’s Republic of China, to Ladakh in India in the west. The drawings are now accessible in the Museum of Architecture for further investigation. “The residents’ deep piety is evident in the farmhouses. Every house, even the poorest, has a sacred room. Additionally, the construction method used communicates – as we would put it today – an ecological and sustainable understanding that developed over centuries,” states Peter Herrle, who was chair of the Habitat Unit at the Institute of Architecture till 2012. Materials are used that can be found in the respective region. This could be wood in one valley, where you can find log cabins like those famous in Switzerland. Then in another valley it’s clay and in yet another, stone. “In our interviews we learned that people are well aware of the advantages of building materials such as clay, because any necessary repairs are easier by using locally sourced materials. They don’t always want to replace clay with cement, which is becoming easier to source,” explains Anna Wozniak. Professor Peter Herrle and his team’s work shows that it is impossible to speak of a single Tibetan building style. “The Tibetan house doesn’t exist. Their variety is characteristic. This variety is due to the fact that the houses are built in ways that are well adapted to local topographic characteristics and microclimatic conditions. In a valley, where there is a great amount of rain, houses have sloped roofs, whereas houses in drier regions have flat roofs and are used to dry fruit,” says Peter Herrle. He speaks of “pre-modern ecological construction methods” with regard to the resource usage and general inclusion of the people’s way of life in natural cycles. “All 33 houses we documented demonstrate concepts of a pre-modern sustainability,” he says. The drawings and photos are archived in TU Berlin’s Museum of Architecture and have been digitalized there. The TU Berlin Museum of Architecture has expertise that is sought after worldwide, particularly in the age of digitalization to preserve sketches, drawings, and blueprints. “There’s no better place to archive our material,” says Herrle. Another advantage of the Architecture Museum, directed by Dr. Hans-Dieter Nägelke, is that the digital collection is publicly accessible. 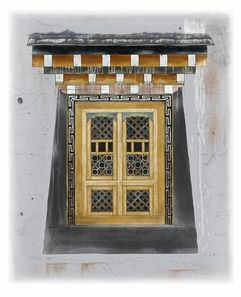 The drawings of the “Tibetan houses” are thus available to other research projects. If the houses aren’t destroyed by earthquakes, the arrival of modernity will significantly change them (use of plastic windows) or they will fall into ruins because the young generation moves away. By taking stock of this cultural artifact, the researchers also hope that that their research project will provide the stimuli for finding ways to preserve the Tibetan ways of construction in collaboration with locals without withholding modern developments from them. It’s an idea for the next research project on Tibetan houses.